Topman is one of the most well-known men’s fashion stores worldwide. Founded in 1978 in the UK, it now has stores in over 60 cities around the globe. It has become the one-stop shop for fashion-forward menswear. The products they sell include their own along with those of other renown brands like Dr. Martens and Clarks. If you, unfortunately, don’t have a store near you or are on the lookout for lower prices, but would still like to get a taste of what’s offered by Topman, you’ll be happy to learn that many of the footwear featured in their store can also be bought elsewhere. 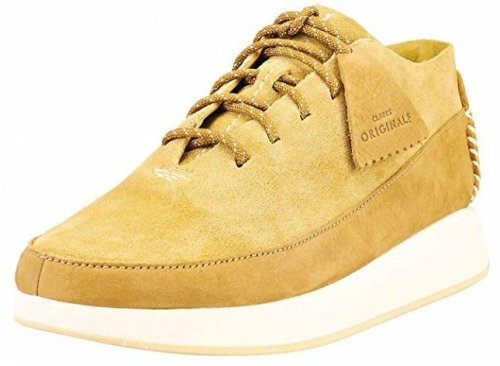 Without further do, let’s jump into ten of the best brand name shoes sold by Topman. 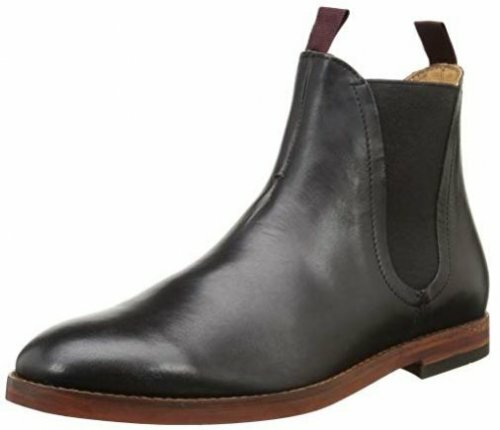 Chelsea boots are a type of boot that has elastic sides and is ankle-high. In the last few years, they have become increasingly popular among men’s fall and spring fashion. A timeless and handsome style is offered with this pair. Their uppers are made of rich leather and are solid in color. As a result, it can be paired with nearly any outfit and color. The stacked sole gives them a trace of sophistication that, when worn with a semi-formal outfit, translates into a sense of polishedness. The elastic sides not only make them conveniently slip-on but play a part in their style, too. These Chelsea boots would look great when paired with skinny jeans rolled up at the ankles, and are sure to keep you warm and stylish as the weather turns chillier. Clarks began nearly two centuries ago…when two men made a slipper from sheepskin off-cuts. It was groundbreaking at the time. They may not use sheepskin off-cuts anymore, but they still prioritize invention and craftsmanship. According to the manufacturer, the Kiowa Sport is a combination of Native American shoe techniques and a smart sneaker profile. The result is a sporty, casual appearance. Some of their features include a lightweight yet sturdy EVA midsole, chunky stitching, and an unlined footbed to provide barefoot comfort. The uppers are made of suede and nubuck, and the overall sneaker is accented by reflective laces. The smoothness of the upper construction makes them stand out a bit from the typical athletic shoe, and the chunky sole keeps them trendy. Though offered in four different colors, we think the Oak color is the best choice for its simultaneous originality and neutrality. The only con is that they are a bit pricey. Fred Perry was an English tennis champion. The brand founded by and named after him now sells both sportswear and streetwear, including canvas sneakers like this pair. Spencer has a classic outline. It features a chunky rubber sole, a perforated heel design, and is made with smooth leather. What really makes the version sold by Topman unique is their color contrast. Rather than being all one color, the white version has a black heel while the black version has a white heel. Call it yin yang. They also feature the aesthetically pleasing Laurel Wreath embroidery that represents the brand. Overall, these canvas sneakers are one of the most versatile shoes we’ve got on the list. They are perfect for staying trendy but also inconspicuous, and you can be sure that their classy design won’t go out of style anytime soon! In 1990, Steve Madden began to craft shoes in his Queens-based factory. Now nearly thirty years later, his name has become one of America's most successful designer shoe brands. Though most well known for their dressier footwear such as their high heels, the brand also designs and makes casual shoes. These sneakers are a great example. 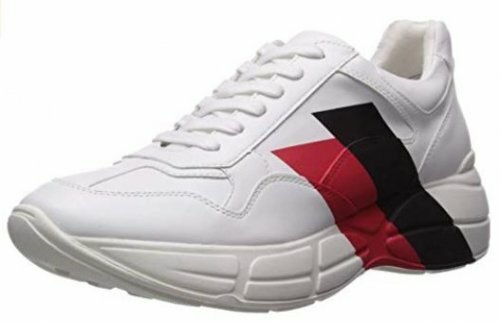 Fashion-forward and retro-inspired, the Caldera sneakers are, as the teens would call it, “edgy.” They’ve got two white-blue stripes on their side while the rest of the shoe is solid-colored. You have the option between white and black uppers. They’ve also got the chunky sole that’s been popular as of late. Pair these with joggers or ripped jeans for a casual, stylish look! When first made by Dr. Martens, this unisex pair was crafted for industry and made rebellious by the non-conformist generation. It is the brand’s classic 3 eye shoe that is still trendy as ever in this day and age. With a smooth leather upper and a simple construction, these fashionable unisex Oxfords can be paired with nearly everything. Men can wear them with slacks for a professional look, while women can pair them with knee socks and a skirt or with light-washed jeans for a casual yet cute look. The leather is firm, finished, and has a semi-bright appearance. The overall shoe is made to last thanks to the Goodyear welt, and guarantees comfort with their iconic air-cushioned sole. Though not offered in a variety of colors, the black makes their simple yet timelessly fashionable design stand out and render them versatile as ever. SikSilk is where sportswear meets streetwear, resulting in a casual style where inspiration from athletes and street culture can both be noted. The suede sneakers up next are the latest addition to the newest wave of SikSilk footwear. 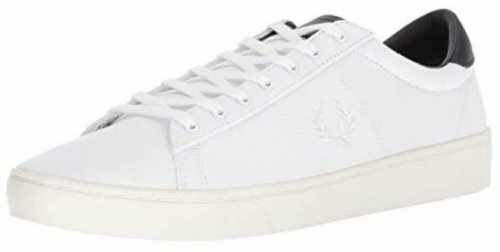 Similar to the Fred Perry pair on our list, these are amazingly versatile. They have a classy silhouette that goes with everything and will never go out of style. Their uppers are made of suede, giving it a nice and rich texture, and the SilSilk logo can be seen at the heel. They also have a white chunky sole that contrasts with the color of the uppers. In terms of price, they fall in the middle of the list, making them quite a good bargain when you consider their versatility; you can wear them with jeans, joggers, and shorts, with both neutral and eye-catching colors. One pair can do the job of several! Brogues are a type of footwear that features perforations, including Derbies and Oxford shoes. Wingtip brogues have a pointed cap with extensions along both sides of the shoe, creating a ‘W’ shape. 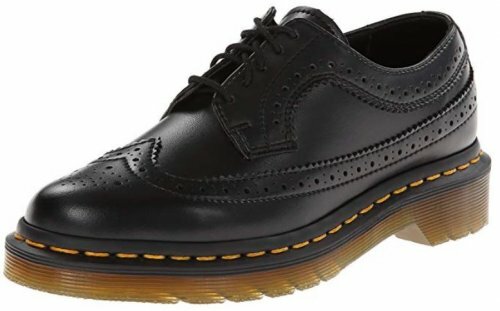 These wingtip brogues by Dr. Martens seem to bring this classy style of footwear into modern, mainstream fashion. Though it has the common decorative perforations, its silhouette seems to be a hybrid between Oxfords and sneakers. The chunky stacked heel, too, is contemporary. They are suitable for those with a darker style and are great when paired with ripped jeans and dark colors. In terms of practicality, they have a sturdy Goodyear welt stitching and have good abrasion resistance. They are also slip-resistant, and their uppers are entirely vegan and synthetic. Chances are, you’ve heard this brand mentioned more than a couple of times. In fact, BBC even has an article about how this Brazilian flip-flop company “took over the world.” To understand the craze, why not try out a pair for yourself? As mentioned, the brand is Brazilian, and it seems only natural that their most iconic model - around for over two decades - is also their most patriotic one. The reason behind the name is the three layers of color that make up the sole, representing the country’s flag. They’ve also got a miniature Brazilian flag on the thong. In terms of practicality, they are heat-resistant and non-slip, perfect for vacations and hot beach days. A Greek key pattern is featured on the strap while a rice grain pattern can be found on the footbed. Thanks to their material choice, they also won’t lose their shape with wear. Though slightly pricier than the average flip-flop, they are still very reasonably priced. However, some customers claim the straps fall apart easily. First founded in 1856, Hunter is the go-to brand when you need footwear for rain or snow. It is well-known for its Original boot, which is both practical and surprisingly stylish. 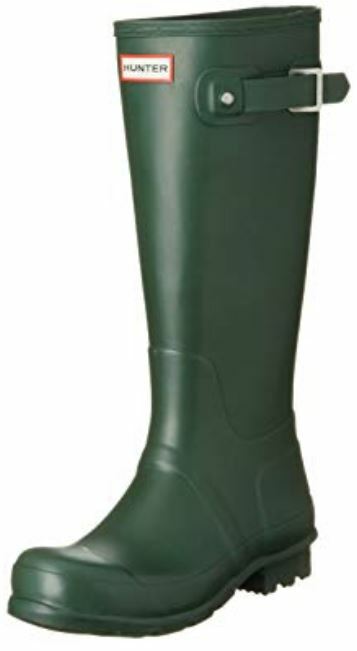 First introduced in 1956, the Original Tall Boot provided consistent quality and satisfaction ever since. It is handcrafted out of 28 different parts to ensure a comfortable fit. It is fully waterproof thanks to its material - natural vulcanized rubber with a matte finish - and has a polyester lining to keep the foot cozy. The rubber outsole features the Hunter Original tread pattern for traction. As for looks, they’re definitely as trendy as waterproof gear can get. Their minimalist appearance, solid color, and simple Hunter logo at the front make it so that you can’t go wrong with them. Though the tall shaft could restrict movement, it’s also extra protective of the ankles and calves. 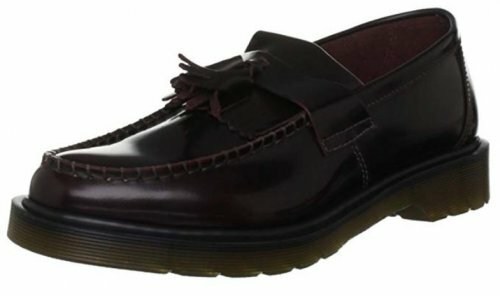 When someone mentions Dr. Martens, the first thing to come to your mind probably isn’t tassel loafers. We think it should be. Classy and well-crafted, this pair is definitely worth the consideration. The Adrian Tassel Loafer first came out in 1980 and has been a classic ever since. Though unusual, you get used to their style once you look at it for long enough. The double tassel and a kiltie fringe add a nice subtle accent to the overall look. They are made with classic Doc’s DNA, which includes the grooved edges and visible stitching. The sole is attached using a durable construction called the Goodyear welt. As for comfort, they are built on the brand’s iconic air-cushioned sole that is oil, fat, and slip-resistant. The only major downside about this pair is that they are not accurate in size. In fact, only 45% of customers say they fit as expected, so make sure to double-check with the sizing charts so that you don’t make the same mistake as the other 55%! They are also expensive. Topman specializes in fashionable clothing and footwear for men (Topshop is its female counterpart). When wandering into their stores, you’ll find everything from formal suits to indie-rock inspired clothing. So it goes without saying that all their items would rank fairly high when it comes to style. However, each person is different. We all have varying preferences when it comes to fashion, and what we want to wear may fluctuate with the season or with our moods. Some are very rigid with what they’ll wear out while others like to experiment with their wardrobe. Keep this in mind when consulting others’ (or the internet’s) opinion on shoe style. With that said, some general guidelines are always useful to ensure you stay away from the serious fashion no-no’s. The first thing you should remember is that you can never go wrong with Oxfords and loafers. They are timelessly handsome and are versatile. 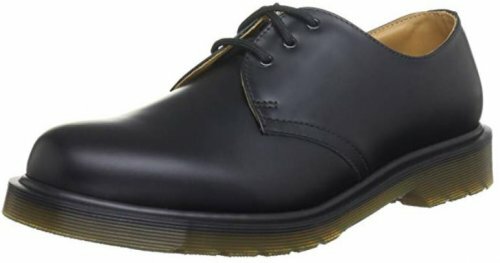 Some manufacturers have also started vamping them up - adding a chunky sole or rounding the toes - to make them more suitable for contemporary street wear. Another tip is to always have a pair of nice boots. Ankle-high boots such as Dr. Martens and Timberlands have gained popularity, so take this chance to jump on the bandwagon, too. Not only do they keep the feet warm during autumn and winter, but they also add a slightly rugged yet handsome finishing touch to your overall appearance. Just make sure the shaft isn’t too high, or you might look more fit for the garden than for the runway. And last but not least, make sure you’re comfortable with how you look. If you’re in doubt and hesitating between two pairs, we recommend you pick the more conservative option. There’s nothing worse than buying a pair that’s too out-there, realizing it’s too eye-catching for your taste, and having to abandon them while they’re barely worn. For more on how to decide what pair to purchase, scroll down to our ‘Value’ section. Color is what holds your entire outfit together and unifies the whole look. On top of that, you give off a different impression on others based on the tones you wear. It’s been proven color is a powerful tool for communication that can influence mood and actions? Did you know, for example, that red provokes warmth and even hostility while blue induces a feeling of calmness and sadness? It’s true that Topman’s style doesn’t feature a lot of eye-catching colors. Scroll through their site, and you’ll find that the majority of their footwear and clothing are neutral-colored. It is, after all, a store for men, who often dress more subtly than women. Plus, there are numerous benefits to neutral-colored shoes, including their versatility and formal look. When picking out a pair, there are some things to consider. It is advised for men to match the color to that of their socks and belt. This helps to unify your overall appearance. In addition, wear shoes darker than the pants in semi-formal or formal occasions - note that the recent white sneaker trend has turned the tables when it comes to casual streetwear. If you’re opting for a pair that’s not white, grey, or black, make sure the color matches or compliments the rest of your attire to avoid clashing. When it comes to footwear, how much it costs matters just as much - if not more - than how they look and fit, especially if you’re on a budget. Indeed, it can be difficult to determine just how much is “worth it.” Topman shoes tend to be reasonably priced, though some are quite pricey. However, the benefit is that they come from reputable brands with reliable quality. Expensive shoes are priced the way they are for a reason: they tend to be of higher quality. Durable and comfortable materials such as leather and suede are much costlier than synthetics. Plus, more reliable constructions and technologies are used. Take the Goodyear welt, for example. You might have noticed that we put this down as a pro for many of the shoes on our list. The Goodyear welt is a strip of material running along the perimeter of the outsole to attach it to the shoe, as opposed to simply using glue. This method is more durable and classier than glue, but it also costs more. It’s only natural that these factors should hike up the price of the shoe. With that said, blindly reaching for the higher-priced pair doesn’t guarantee quality. Some footwear has defects and is less durable and comfortable than they should be, and others may be costly simply because the manufacturer knows that people will buy them regardless. It’s a good idea to take a look at customer reviews and get a gist of their quality, durability, and what to expect before making your purchase. Versatile footwear can be worn in many different types of occasions. They are the go-to option when you don’t know what pair to pick and are the perfect “safe” option on busy mornings when you don’t have time to think of how you look. As mentioned earlier in our “Color” section, color is a factor that determines versatility. The more toned-down and neutral the color is, the more versatile they are. Just think: black shoes can be worn to the nightclub and to the office. And as for your bright red shoe...well, not so much. But color isn’t the only factor. Shoe style matters a lot, too. Even if the pair is black, you won’t be able to wear them to the office if they’re low-top sneakers. In general, however, sneakers are somewhat versatile for casual and semi-casual occasions. They are timelessly stylish and can be paired with jeans, joggers, or shorts. Other safe options are Oxfords, which have a more polished appearance; and Chelsea boots for effortless style during spring and autumn. Footwear material determines its durability, comfort, and as we mentioned earlier, price. The right combination of materials will give you a balance between different features, and alleviate the minor downsides of each material. Leather is undoubtedly the most common and reliable option - for a good reason, too. Cow leather is sturdy, flexible, and stretchy. It is also breathable and prevents sweat and odor. Through time it also conforms to the shape of your foot to provide customized comfort. When used in the uppers, it also gives the footwear a luxurious appearance and a rich quality. The drawbacks of leather is that it is heavy, hard to care for, and relatively expensive. Textiles are not uncommon, either. This type of material is more often seen in casual sneakers (think Vans). The benefit is that textiles come in a huge variety of colors and special features. They are also durable and light, perfect for mild and warm weather. Just keep in mind that textile shoes are not water-resistant and don’t have the sophisticated look of leather. They are, however, much more affordable! Match your footwear with your belt. There’s nothing worse than black shoes with a brown belt! It’s great to challenge your style, but when in doubt, choose the conservative option over the eye-catching one. You’re more likely to wear and like the former. Splurge on footwear every once in a while. After all, there’s nothing else in your wardrobe that you’ll wear as often or as long. Recently, the chunky sole has become a popular trend. With a retailer as fashion-forward as Topman, you can be sure to find plenty of them when scrolling through their list of footwear. Most chunky-soled shoes are sneakers, though the most innovative ones are Oxfords, boots, and other classy styles. The chunky sole vamps them up and turns these old-fashioned, business-meeting pairs into something trendy and fashionable. There are, however, some downsides to the chunky sole. For one, they can be hard to walk in, especially if you usually wear thin-soled shoes. It can also be quite heavy and cause foot fatigue after walking around for a while. In addition, you may lose your balance more easily and risk slipping and falling. But the counterbalance? They look nice, and that’s reason enough to take them into consideration. The uppers are the material that covers the outside part of the footwear. Its material can vary, but the most common ones are leather and suede for fancy pairs and synthetics for athletic ones. If you’re going to be out in cold or wet weather, make sure the uppers are protective enough to keep you dry and comfortable. As for style, you can choose between a smooth and a perforated upper. The perforations are used as decoration and cannot be missed in styles such as wingtip Oxfords. The subtleness of them adds a touch of uniqueness without overwhelming the whole look. Smooth ones, on the other hand, can be more refreshing to look at and more suitable for pairing with brighter, more complicated outfits. It all depends on your taste and preferences. Just be aware that the option’s there! Topman is the place to go for men’s fashion. With clothing, footwear, and accessories from top brands, they provide only the hottest trends and the most reliable quality for their shoppers. Even if you don’t have a store near you or are on a budget, you can find their products sold elsewhere. We hope you can use our list as guidance towards your next purchase! q: What does Topman sell? Their products include clothing, footwear, and accessories like belts, wallets, and even watches. q: Is Topman a brand? Topman is a men’s fashion retailer. It sells clothing and footwear by other brands such as Dr. Martens, Nicce, and Steve Madden. q: Are Topman shoes expensive? They are average or, sometimes, slightly pricey. The good thing is, some of their pricier options can be bought elsewhere for a lower cost. q: Are Topman shoes formal or informal? There are options that fit in either one of those categories, and some that fit in both. Whether you need a pair for everyday streetwear or a pair for a formal occasion, Topman’s sure to offer the right one for you. q: Are Topman and Topshop the same? Topman specializes in men's fashion. Topshop is simply its female counterpart.